In an era where we grew up with technology, having a timepiece on your wrist is a pretty outdated idea. Think about it. Why do we need watches when we all have smart phones with very accurate clocks on them? Heck, even our computers/laptops have the time right there in the corner. It’s pretty easy to find out what time it is. Yet. I like watches. I have over the past couple of years acquired several. From Timex to Seiko, my mom used to love buying watches for my birthday. So the lovely folks at Watch Wonderland invited me down to their Academy to learn how to assemble my own watch and leather strap, so I’m better prepared the next time someone tells me my watch needs a complete overhaul. 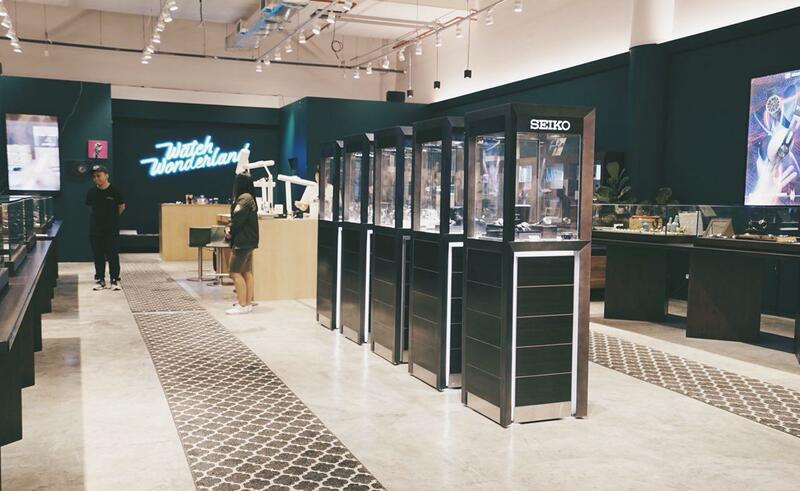 Located in Suntec City, Watch Wonderland is more than just a watch shop. It’s also an academy and a concierge. 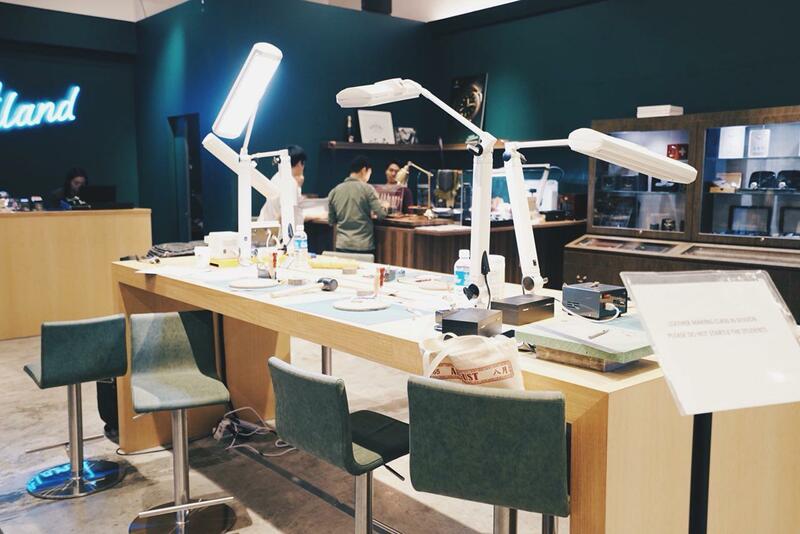 This retail space carries big names such as Seiko as well as micro-indie brands from the US, France and more. 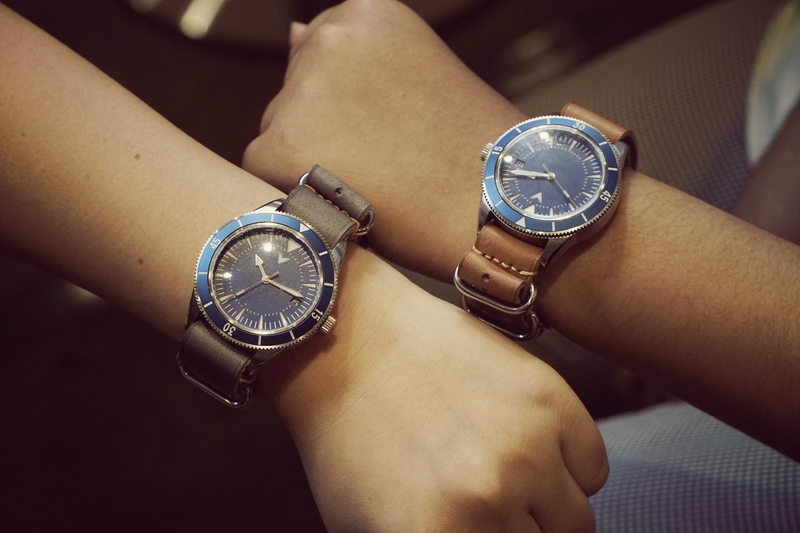 In addition to that, they also carry a total of 6 brands that are made with love by our very own Singaporean watchmakers. 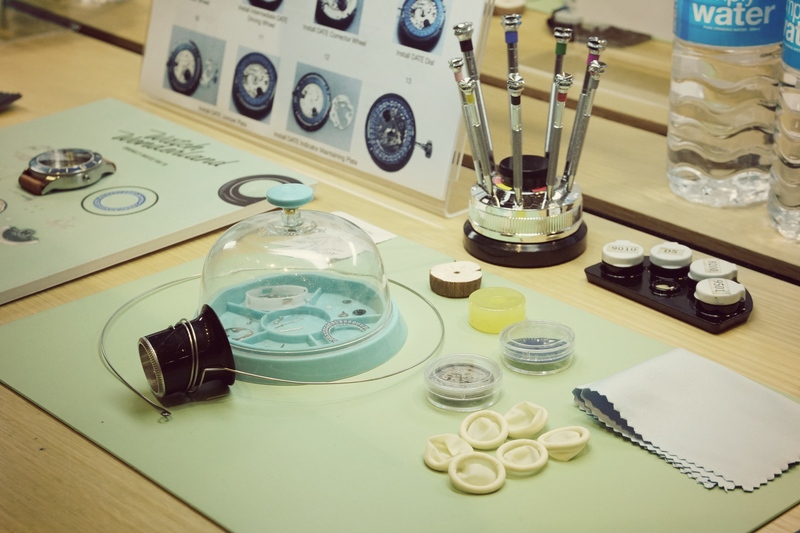 At Watch Wonderland, they place a strong focus on their selection of watches. You can purchase your watches with an ease of mind because their selection process is one that covers everything from aesthetics to mechanical testing before they allow a brand into their portfolio. 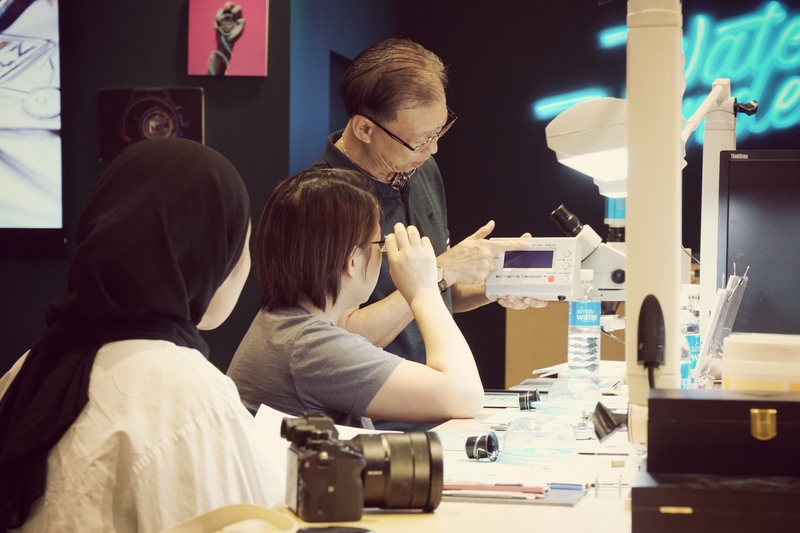 Apart from buying watches, Watch Wonderland is also a place for watch enthusiasts to convene with other likeminded people to learn more about this fascinating universe. I was honestly scared shitless at this moment because 1. I’m terrible at fixing things and 2. I’ve never attended a single leather making class in my entire life. However, the course instructor, Mr Vincent Goh, assured me that I’ll do just fine. Have you seen me in D&T class, Mr Goh? 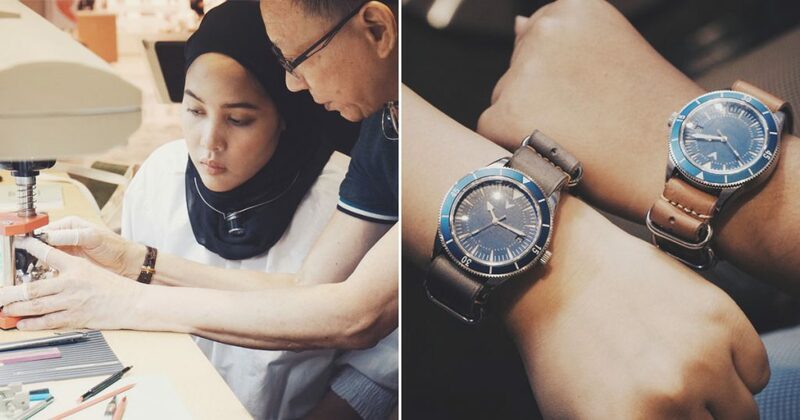 Nonetheless, we dove right in and learned how to assemble the basic parts, oil and regulate the timing of the watch. They first opened The Academy in November 2017 and have since been consistently hosting classes through The Academy to broaden the knowledge and perspective of their audience. “I’ve had participants flying in from all over the world JUST to attend this workshop. In fact, my youngest participant was only 12 years old and she managed to complete the workshop,” Vincent exclaimed. So I calmed down, rolled up my sleeves, put on my finger gloves and got to work. Vincent started off with a video explaining how a mechanical watch works. He printed out a step-by-step guide for us so we always knew what to do next. I was lost and struggling half the time but Vincent was patient and kind enough to guide me on where to place the different parts and constantly checked on my work to ensure that I didn’t miss a step. To be honest, if I never knew who he was, I’d mistake him for some random uncle who loves to lepak at the kopitiam with his friends but I was completely wrong. Vincent is an extremely talented and experienced watchmaker who has worked on restoring 500 vintage watches in the US back in the 90s. 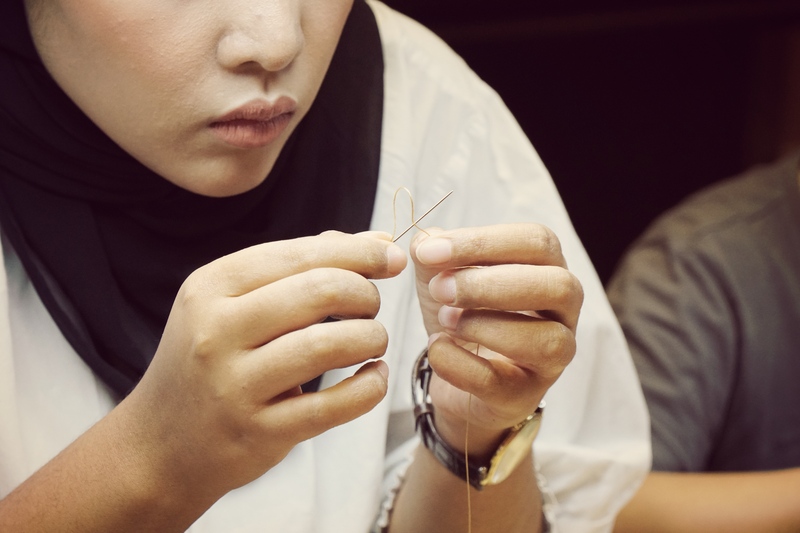 Being posted to China for 11 years also saw him having more opportunities to learn from highly experienced watchmakers and veterans, giving him an advanced knowledge of watch repair that no book has ever documented. So I knew, I was in very safe hands. “Eh Farhanah, come come I take your photo. You wayang a bit lah, pretend you fixing, don’t look at camera ah! 1…2…3…!” he shouted. After 2 hours of putting the watch together and using the TimeGrapher to regulate the watch timing, I was extremely satisfied with my final product. Vincent gave me a little pat on my back and told me I did a pretty great job for a first timer. No watch is complete without a strap. Especially one that further tells your audience about your personality. 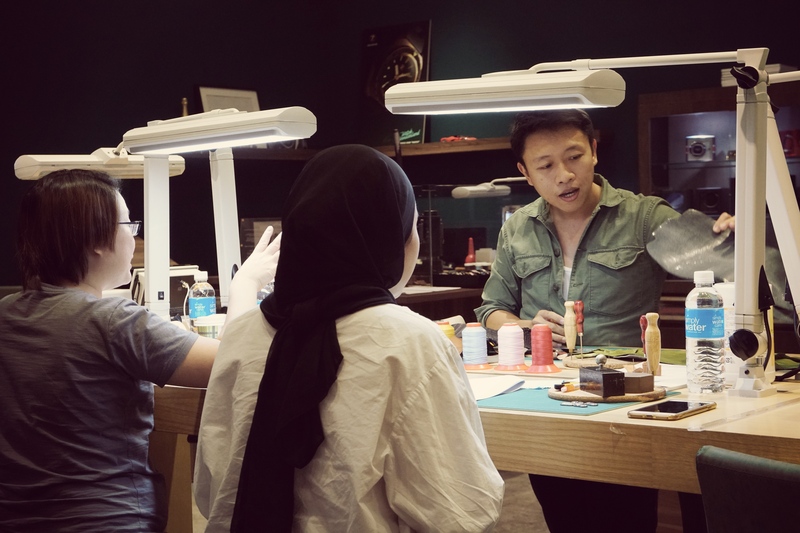 We were guided by our leather craft instructor, Mr Jeremiah Ang who established J.Myers Co six years ago, and has since grew from a one-man show, to creating numerous products in collaboration with brands such as Bentley, Vertu, Red Army Watches and Bang & Olufsen. He first introduced to us the different types of leather and finally gave us two colours to pick from. 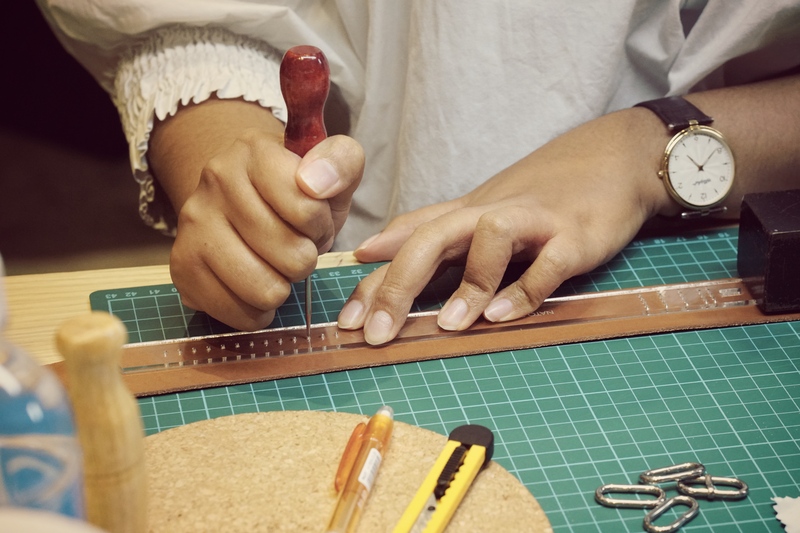 After a brief introduction as to how to use the tools, we got to marking and cutting out our leather strap using a template that he prepared for us. We crafted our very own leather NATO strap for the watch that we assembled earlier on. Once that was all done, we used a “burning” tool to help us create the pattern which makes the entire watch look a lot more polished and refined. 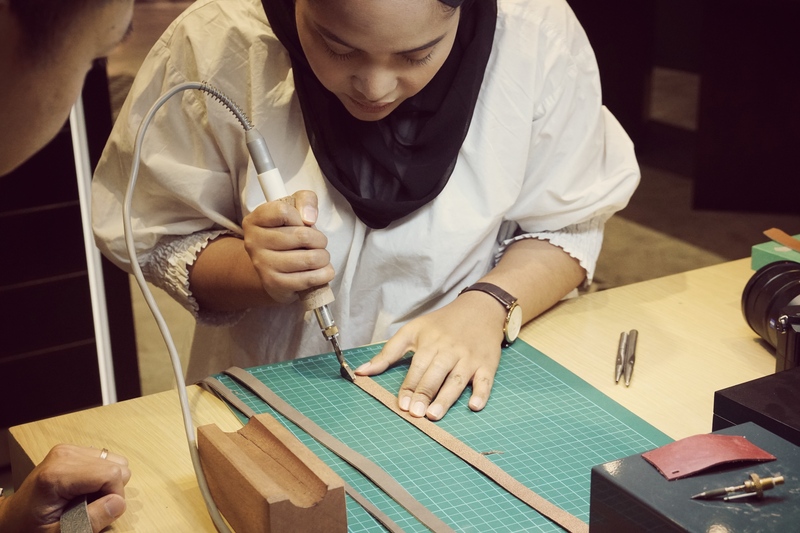 The process to making your own leather strap was not easy at all. The last step, which was to stitch the holes we created was definitely the toughest part of it all. After an hour of poking my thumb and messing up my stitches, there were tiny beads of sweat formed on my forehead and I was pretty much ready to get it all over and done with. 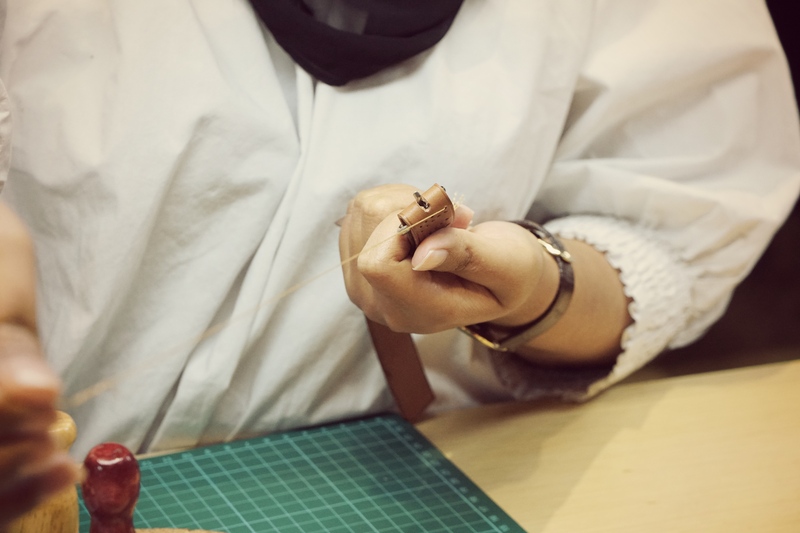 Leather crafting is an amazing art form and I’m glad that I finally have a deeper appreciation for artisans and designers who are dedicated to creating quality leather products, with the sole objective to bring about a deeper appreciation of craftsmanship. One stitch at a time. After 5 gruelling hours, my face glowed (or maybe it was the sweat) when I finally assembled my watch together. Wearing it for the first time felt so satisfying because I knew I put in all my effort into making this watch. Watch Wonderland has changed my expectations of a brick-and-mortar store forever. This chic space doesn’t just sell watches but it also doubles up as an Academy with a workshop space right in the middle of the store. Welcoming their customers with a giant neon logo emblazoned across a wall, it’s the opposite of typical luxury watch boutiques with intimidating grand entrances and snooty judgey salesmen clad in suit and tie. 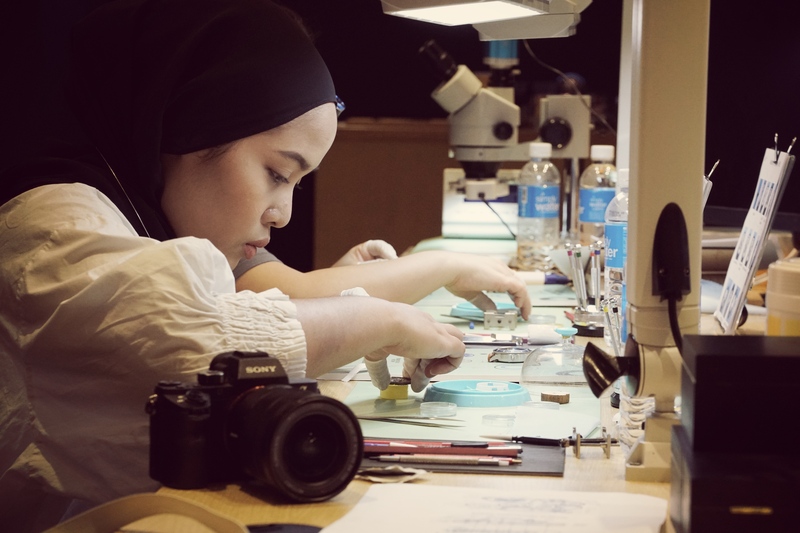 So if you’re ever looking at doing something out of the ordinary in Singapore, then Watch Wonderland is a great place for watch enthusiasts to come together and learn about leather crafting or watchmaking from the masters themselves.